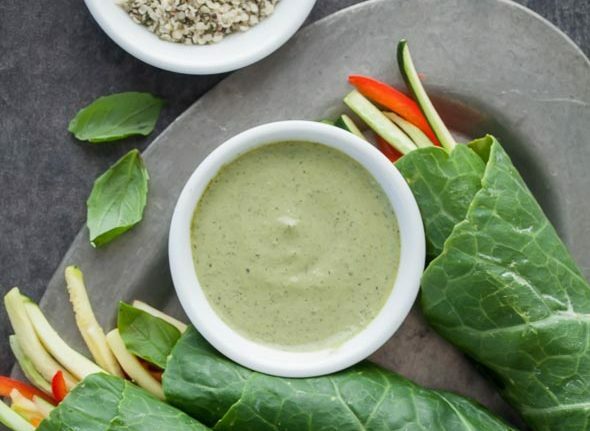 You’ve undoubtedly heard the benefits of incorporating leafy greens into your daily diet – from cancer-preventing carotenoids to skin-boosting antioxidants – but actually making this happen in your daily life is whole different story. When hunger strikes, the lack of flavor of these ingredients by themselves don’t seem to do the trick. So how can you take these nutrient-rich plants from “Meh” to “Oh yeah!”? These five strategies for making sure you’re getting all the benefits you can out of leafy greens will inspire your meal-planning this week. 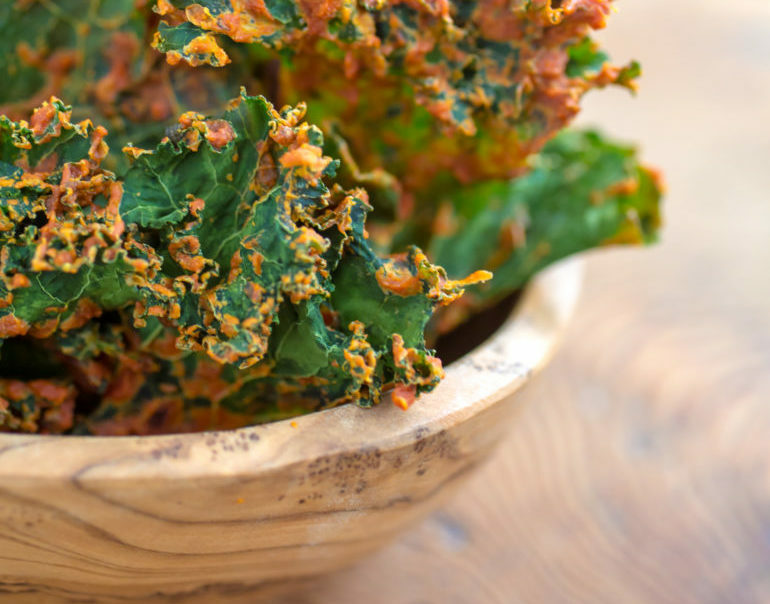 There’s nothing like a crunchy snack to keep you feeling satisfied, and these cheesy turmeric kale chips pack all the flavor and nutrients without the fats and preservatives in potato chips (take a look at the benefits of turmeric here). This recipe is easy to make, family-friendly, and is a great way to incorporate kale into your meals. If you could bottle up healthy skin and sell it, this would be it. 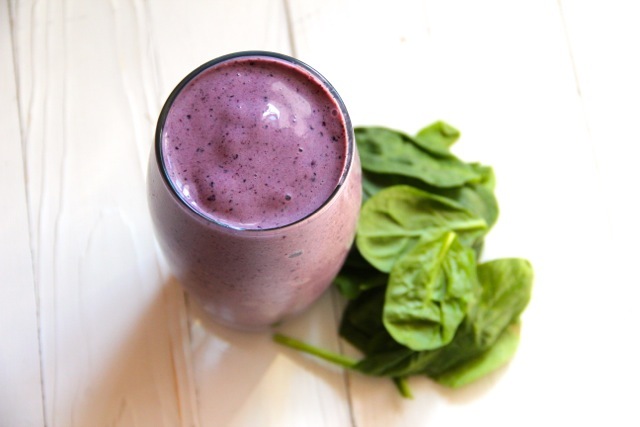 The superpowers of blueberries AND spinach? This smoothie is loaded with antioxidants, fiber, Vitamin A, and many more powerful nutrients that will nourish your hair and skin. Not to mention – it’s delicious! Your work lunch just got a major upgrade. We’ve seen collard greens in traditional Southern cooking, but this twist keeps it fresh. The high content of Vitamin C and Vitamin A is crucial for keeping your hair moisturized and your skin supple. Share the recipe with your coworkers! 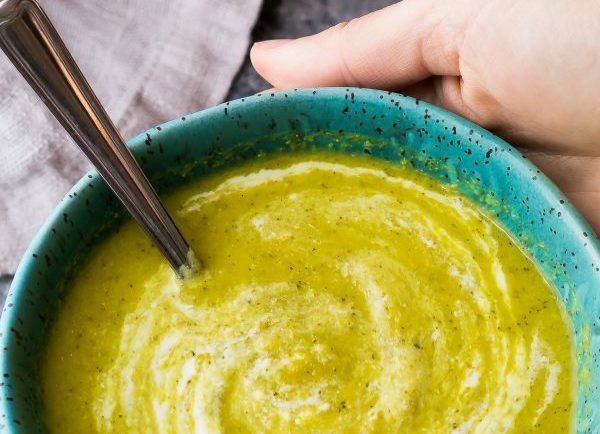 As the weather gets a little chillier, there’s nothing like warming your hands with a bowl of soup. And you know what’s even warmer? Knowing that the ingredients in your bowl will nourish your skin, hair, and brain. Broccoli packs a punch for your health, and the addition of ginger and turmeric just sweetens the deal. 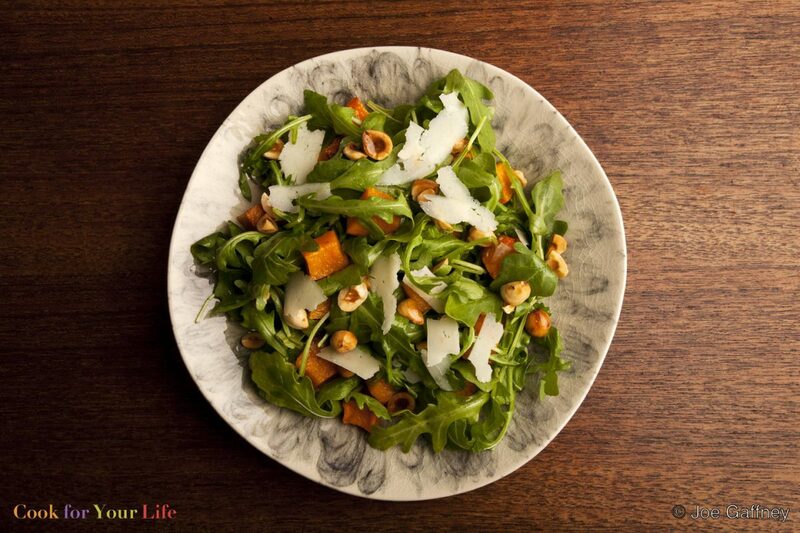 Arugula is known for its sharp and spicy taste, making it the perfect pairing for the sweetness of roasted pumpkins. The combined power of these ingredients will make sure that your muscles, bones, and hair will be strong.